Polk State Lakeland’s burgeoning theatre presence will mark a new milestone on June 20, with Almost Maine, the first full-length play to be staged at Polk’s largest campus. Almost, Maine is a series of nine vignettes, each of which features a different couple at a different stage of love. Set in the fictional town of Almost, Maine, the play runs the romantic gamut, from the couple that is just beginning to flirt with one another, to a long-married couple contemplating divorce. “This production is very exciting for Polk State College. For the past year, our theatre offerings at this campus have gained great momentum,” Polk State Lakeland Provost Steve Hull said. Polk State Theatre’s presence has traditionally been centered at the College’s Winter Haven campus, where several full-length shows are staged each semester in the Winter Haven Fine Arts Auditorium. That tradition began to change — albeit slowly at first — with a pair of one-act shows on the Lakeland campus four years ago. Those efforts hit a new stride last fall, with the offering of Theatrical Production, a seven-week course in which students plan, rehearse and perform a show. Polk State adjunct professor Ilene Fins teaches the course, which has subsequently yielded four small-scale productions, including the most recent, An Evening of Turbo-Charged Short Plays. “More and more people are starting to know there is theatre on the Lakeland campus. The word is spreading,” she said, pointing to favorable enrollment trends. 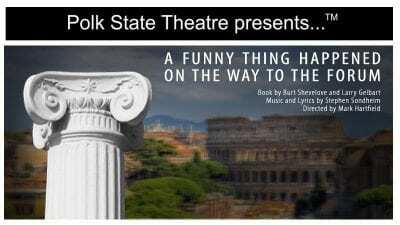 The momentum generated by that curricular innovation made this summer’s full-length play a logical next step, she said. “The Lakeland campus is ready for this. We have the students who want to perform and the audiences who want receive a full-length play. It’s time,” she said. Almost, Maine, by John Cariani, will come to life in the Polk State Lakeland Technology Building, complete with sets and lighting and costumes — everything one would expect when they think “fully staged, full-length play.” Reflecting the intensity of this performance, Fins said the cast has been rehearsing five days a week since the beginning of May; by contrast, the earlier small-scale shows were rehearsed just one day a week for the seven-week duration of her class. The production won’t be without its challenges, Carbonell said, particularly on the technical side. The ceiling of the LTB building is lower than the Fine Arts Theatre, for example, making lighting trickier. Also, the Lakeland venue doesn’t have a backstage area for sets and costume changes and the like, making for logistical hurdles. All that aside, it’s a huge step for Polk State Theatre, and Carbonell said he thinks the College will look back on Almost, Maine as a new chapter for its Fine Arts department as well as in the history of the Lakeland campus, which first opened in 1988. 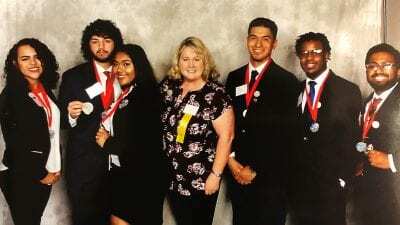 “We’re already seeing more crossover between the two campuses, with students who weren’t previously part of the Winter Haven theatre fold coming over to participate, and vice versa,” he said. 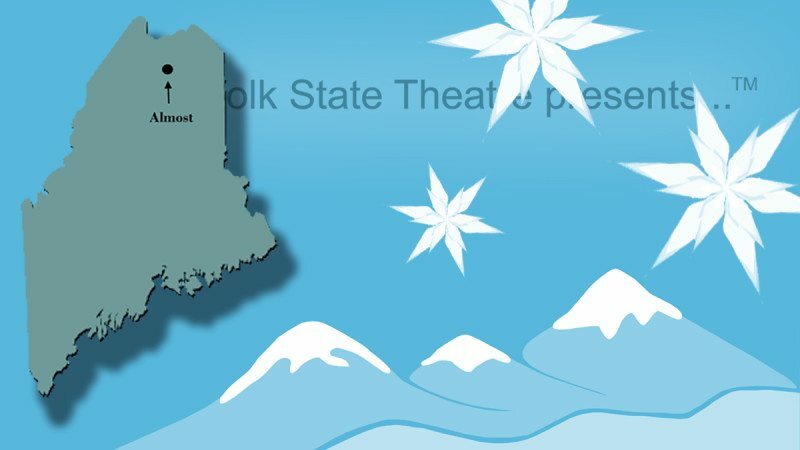 Almost, Maine will take place on June 20 at 7:30 p.m. at the Polk State Lakeland Technology Building. It is free and open to the public. In addition to Polk State Theatre, Polk State Fine Arts includes Music and Visual Arts, all of which enjoy outstanding statewide reputations.